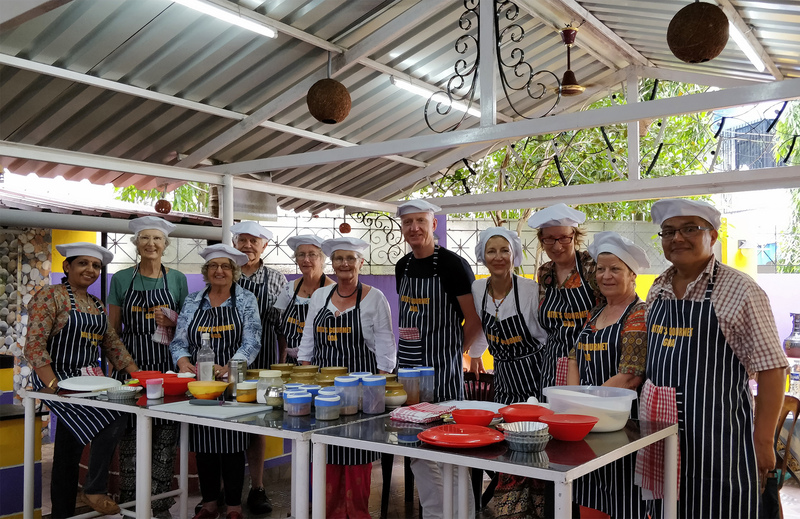 Go beyond the area's golden beaches with Rita's Gourmet Goa, offering lots of chances to learn about Indian cuisine through fun-filled cooking lessons, food tours, and culinary workshops. Popular options include cooking lessons with tours of local farmers markets, multi-day cookery workshops about Goan cuisine, shore culinary tours designed specifically for cruise ship passengers, and culinary and heritage tours. Crash and comprehensive courses cater to impassioned foodies, newlyweds looking for fun activities to do together, skilled cooks, and complete beginners. Check the website for other options, which include bread-baking lessons, cake- and dessert-making classes, and workshops about Thai, Italian, and Portuguese cooking. Make Rita's Gourmet Goa part of your personalized Goa itinerary using our Goa travel planner. Wow, what a great experience we've had at Rita in Goa. 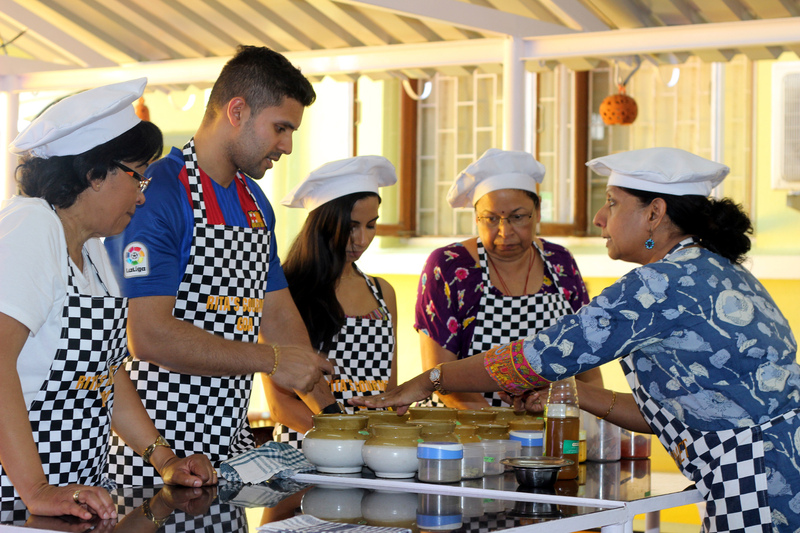 On our last day before our departure, Rita organized for US threes a custom cooking class just before our flight. We were warmly welcomed, got nice info, made great dishes and were top helped. Rita himself is a top woman who together with her husband and great staff run a nice cooking studio. They even arranged us a taxi which brought us to the airport in time. The location is very good, just 5 minutes to the airport. A next time I will definitely come back! Informative and fun cooking class with Rita and her team! We chose the 3 hour class and made 5 dishes, with time to chat with Rita and her husband. We learnt so much about indian spices and were able to make a pretty mean vindaloo! Highly recommend for an intro to indian, and specifically Goan cuisine. You also get a great take home bag with recipes and a cute gift! The experience with Rita and her lovely team was truly first class. We were driven to the local market where fresh herbs were purchased and explained to us as we went round. We then cooked many different courses, starter, main and dessert, which was all absolutely delicious. Rita even guided us in not making the food too spicy. Amazingly friendly staff and Rita is a very warm and welcoming person. Me and my wife attended with our two kids 3 and 6 as hangarounds and we enjoyed every second of this experience. Starting off Rita and her team had prepared a breakfast with dishes we recognized from the five star hotel we stayed at. We were instantly amazed that ritas versions were far superior to what we had earlier. Needless to say this turned our expectations on what was to come way up. Next we got a ride with Rita to a local market where we got to shop with the locals and Rita and her staff shared their knowledge of the veggies and spices and got us some tasting samples. After that it was back to Ritas kitchen to cook our dishes. It is very interactive but all the chopping and peeling etc. is done by staff, only the fun part of cooking is done by the guests. Rita is good at adapting the level of spice to the crowd, meaning this experience is suitable to all. Lastly we got to enjoy our food and a cold beer. I would recommend this to anyone with a cooking interest, and would not miss this for anything if you are a foodie. Every day, we help thousands of travelers plan great vacations. Here are some tips on how to use your Listing Page to attract more travelers to your business - Rita's Gourmet Goa. Promote your permanent link - https://www.inspirock.com/india/dabolim/ritas-gourmet-goa-a196817693 - on your website, your blog, and social media. 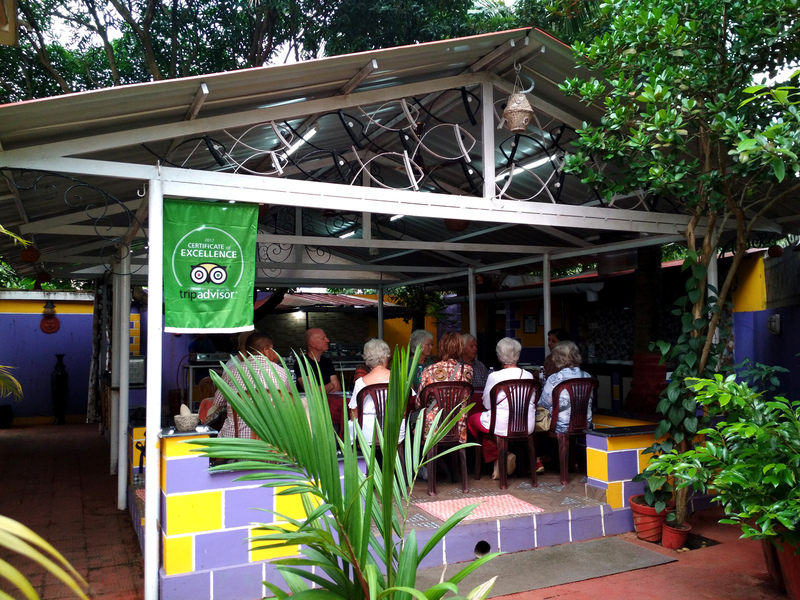 When a traveler builds a plan from this page, the itinerary automatically includes Rita's Gourmet Goa. This is a great way for travelers looking for a great vacation in your city or country to also experience Rita's Gourmet Goa. Promoting your link also lets your audience know that you are featured on a rapidly growing travel site. In addition, the more this page is used, the more we will promote Rita's Gourmet Goa to other Inspirock users. For best results, use the customized Trip Planning Widget for Rita's Gourmet Goa on your website. It has all the advantages mentioned above, plus users to your site can conveniently access it directly on your site. Visitors to your site will appreciate you offering them help with planning their vacation. Setting this up takes just a few minutes - Click here for instructions.